Vosh furiously scribbled out the third and final copy of General Galgaroth’s latest memo, even though the muscle between her pinky and ring fingers cramped something fierce. Mail flooded her desk the first day after Redik’s visit went public, written by everyone from Darigani farmers complaining of Meridellian competition to traders begging for access to Meridell’s goods to retired soldiers condemning all contact with Meridell. Out of the corner of her eye, the Darigan Kyrii spotted a slate-feathered Lenny standing outside the glass doors. He fidgeted on his bony legs, wringing his wings together. Vosh cocked her head, wondering what a Pirate Lenny could want from the Darigan Chambers. Underneath her desk she kicked off her slippers, stepped into pink stilettos, stood up a full four inches taller than her natural height, and walked over to the glass door. He looked at her with incomprehension. “Hah, I’ve heard that b’fore. Means yes. ‘Right then.” He pulled off his wide-brimmed hat, bowed and turned to leave when another voice intruded. Vosh and the Lenny spotted Henka leaning against the stone wall of the tower. The Lenny shifted his weight, as if preparing to bolt away. Vosh nodded and walked inside, knowing a command when she heard one, but her curiosity proved too much to bear. She trained her large ears in their direction as she sat at her desk, breathless in silence. “I... just wunderin’,” she heard the Lenny say. “You were quite right to inform the Darigan Chambers, Mister Barlow, thank you for your good citizenship. Rest assured all is well, and you may continue as usual with your patron.” Henka charged through the glass doors of the chamber. The sudden action startled Vosh, and she quickly picked up some papers and started tapping them on her desk into uniformity. “Do you know where D.A. is?” asked Henka as he passed her desk. “No, Sir,” said Vosh. “I think she’s outside of the Chambers, though.” She held out a stack of memos to him. He grumbled to himself as he took them. “As soon as you see her, tell her to report to me.” With that, he slithered up the stairs. “Will do,” Vosh whispered. What was going on? Why the sudden interest in D.A., and the constant search for her? You’d think the Chief of Internal Security could keep track of one Zafara woman. Vosh sat back down behind her desk, kicked off her stilettos and slipped back into her Gugg-brand slippers. The whole Citadel had an air of unease, inside and outside of the Chambers. It made Vosh nervous, for anything could happen the day Sir Redik came, if someone got upset enough. The morning of Redik’s arrival fell on the chambers in an eerie calm, like a tranquil sky before a windstorm. Every muscle in Vosh’s Kyrii body urged her to jump up into productive madness, as her body had been conditioned to functioning in during the last few days. Now she could only wait, running her fingers through her navy curls ‘til her scalp became sore. Though guards were stationed along the perimeter of Chambers Tower and on each floor, all of the Chambers officials waited in Darigan Gardens, the landing site for Sir Redik. In less than an hour, the Darigani officials would flock in, and Vosh’s job description would include looking pretty and acting as chief of coffee and tea runs. Beside that, the Chambers were to be closed off to the public for Redik’s visit. The Kyrii heard a scratching noise in the hallway where the meeting rooms were. Vosh hoped they hadn’t been infested with Drackonacks again; the pests were a pain to get rid of. She heard the noise again and decided to find and dispose of the vermin before Redik arrived. No one wanted to see the tower of Darigan’s government infested with needle-toothed, purple vermin. A hand slipped over her mouth, suppressing her scream. A pungent odor from a cloth in the hand assaulted her nostrils. She elbowed the body pressed against her back, tried to pull free, but no use. Silver stars clouded her vision, tingling spread to her limbs. The room slowly went dark. Henka disliked the amount of people crowding the landing site; chaos could break loose quickly in large numbers. But Lord Darigan wanted to ensure that his people did not feel kept in the dark over Sir Redik’s visit. The Hissi could understand that, but he did not have to like it. The loveliest place in the Citadel had to be Darigan Gardens, the only section not paved with stones or being farmed. Atop the light green grass and pastel flowers, Lord Darigan stood surrounded by guards and ambassadors, including General Galgaroth at his right. Henka stood just behind the Lord, where he had a decent view of what went on around them and he could comfortably keep and eye on D.A.’s reactions to the goings on. Her hood would not hide her eyes from him today. Three figures rose up in the sky, their outlines distorted by the brightness of the sky enveloping them. Henka glanced to see D.A.’s expression: the figures had her attention. That hardly singled her out from any other person on the Citadel at the moment. Of the three figures approaching, the one taking the lead took the form of a Draik with camouflaged scales, wearing a knight’s armour; Sir Redik. A chorus of spines snapping to attention rang out in the silence. Sir Redik landed just in front of the Darigani, with two Eyrie knights behind him as his personal security contingent. “Lord Darigan,” he said with a rough voice as he bowed. The Draik nodded, clearly unaccustomed to the ways of diplomacy. Henka guessed King Skarl had made Redik Knight of the Court to benefit from his years of experience, and this forced the Meridellian warrior into the discomfort of a diplomatic position. Lord Darigan conducted Sir Redik towards Chambers Tower so they could get to business. Tighter security could also be ensured in the privacy of a building rather than the open garden. If an attack occurred, it would likely be on their way to the tower, while they were moving, and a good chunk of the security forces lay behind them in the gardens or ahead of them in the Chambers. Henka watched D.A. carefully, focusing on her emotive eyes--they could not easily lie. The procession to the Chambers stayed strangely quiet. Usually delegations of this size were accompanied by music and entertainers, but no one danced on this solemn occasion. Only the sound of their feet on the stone pathway trumpeted their arrival. D.A.’s eyes roamed everywhere but Sir Redik. Farmers, merchants, traders and families lined the sides of the path, watching them walk up. Some chatted amongst themselves, but quietly, almost in fear. Henka spotted D.A.’s ear flick up slightly, her eyes dart to the right. Henka followed her gaze, but saw nothing. In a moment, the sound of shouting reached his ears--hers were far more sensitive. Then he saw them, a group of farmers pushing through the crowd towards Lord Darigan and Sir Redik. D.A.’s hand went to the hilt of her sword, her eyes sharp on the protestors. Security guards already increased their numbers on that side of the procession, protective of their Lord and his guest. General Galgaroth whispered into Darigan’s ear, but the Korbat shook his head. With a last loathing look at the protestors, Galgaroth turned his attention away from them. Henka became nervous as more of their security forces became sidetracked. D.A.’s hand did not leave her sword, and her eyes did not waver from the protestors. “Friends of yours?” Henka asked her in a half-teasing voice, while gauging her response. The procession came upon Darigan Castle, built of slightly lavender stone and dark wood, its highest towers supported by metal. In the center of the castle stood the tallest and stoutest tower on the Citadel--taller than the highest parapet of Meridell--the stone and mortar of the Chambers. They walked inside, its wide halls lined with guards in full dress uniform, torches lighting its walls. They came to a great courtyard with a fountain in the center--the ultimate decadence in a city suffering a perpetual drought. Ahead stood the great glass doors of Chambers Tower; two impressively large and silver-clad guards opened the doors for the officials to enter. The seal of Darigan was inlaid into the marble floor, and by the time he glided over this, Henka began to let himself breath easier. The Chambers’ walls were well protected inside and outside. The next high risk period would be Redik’s leaving, when they would be forced into the open once again. D.A. remained a mystery to him, and as much as Henka disliked this, he imagined that she put much of Lord Darigan’s safety on her own shoulders. He had little doubt that she had connections in the underworld to support her power, so it was a possibility that what had been overheard in the tavern was a show of muscle on her part to protect Lord Darigan. But Henka would take no chances. Once Redik left safely--for an attack could still lie ahead--he would launch a full investigation into D.A.’s dealings. He looked at her eyes once more, just to ensure that she would not launch a personal attack--which he felt she was too smart for anyway. Her eyes examined her surroundings, checking for weaknesses and danger. Henka knew she had been trained; a person did not act as she did without training. Something in her eyes changed; alarm suddenly marked her face. Henka’s eyes darted to what she saw. 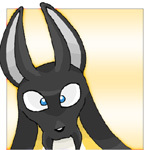 It was Vosh, standing behind her desk in respect for Lord Darigan and Redik. Her hair looked a little different, was she taller? Adrenaline shot through his veins as Henka realized that the person standing at the receptionist’s desk was not Vosh.